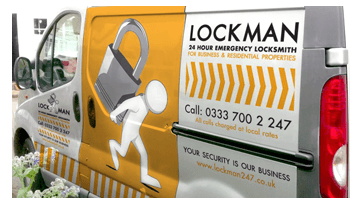 Lockman Birmingham is pleased to announce that they are available as a 24-hour locksmith for emergency locksmith services. An expert Locksmith will be at the doorstep of the customer within 20 to 60 minutes of the emergency call. Irrespective of the day or time, early or late, the Lockman will attend to any kind of lockout emergency. These locksmiths are highly skilled, trained and certified and can deal with any kind of lock with a simple mechanism to locks with advanced security mechanisms. The company also specializes in Mobile Locksmith services wherein the mobile unit arrives at the location with a fully equipped vehicle. The vehicle is prepared with all the tools, new locks, new lock mechanisms, lock barrels and everything else to repair and replace then and there without causing further inconvenience to the customers. As part of the commercial lock services, the company offers 24 hour locksmith emergency services for lockouts, repairs and lock changes for pubs, clubs, offices, stores, etc. The expert locksmith can also repair locks with access controls through code locks in case of doctors and dentists, shutters, bailiffs, warrant services and the like. And as part of the domestic lock services, the expert technicians here can deal with any kind of security lock for various residential homes and apartments. When in an emergency lockout crisis, the first number to dial is that of the local locksmith, Lockman Birmingham and they will be right there within the promised turnaround time. It is important to have the homes and offices secured especially when they are exposed to theft and burglaries, day in and day out. It is all the more important to keep the premises secured during family holidays or vacations. Today, the market is flooded with top rated, branded and highly secured locks and security systems. And that is why the trained technicians here at Lockman keep themselves abreast with the changing technology. This training assists them in dealing with any kind of emergency lock situation be it commercial or residential. The team also assists customers in understanding lock snapping and helps them install anti-snap and anti-bump locks to avoid burglaries, forced and unwanted entries. Selecting the best locksmith professional to finish a locksmithing job might be hard. Locksmithing is one job that needs correct care, knowledge and best execution to finish it effectively. Getting the service of a local locksmith professional is challenging because not all locksmith professionals are skilled in their field. They will supply some info to you, so you will have a concept of how skilled they are in their field. If you are looking for a specialist locksmith near me to assist you with your lock and key issue for your residence or business, performing some research on their background is just useful. You would not wish to get the service of a locksmith professional who cannot supply the very best service, who are old made and does not have enough knowledge about the most recent methods in Locksmithing. In selecting an excellent locksmith professional, the first thing that you will examine is their education and experience in handling lock and key scenarios that may develop while performing their job. By participating in online research, you will find a long list of locksmith Birmingham professionals in your area. Keep in mind that settling with the first lock specialist that you will experience is not always a great idea. Like losing your home key or locking your keys in your car, an emergency situation locksmith professional can assist you out on this. They can quickly open your car or make a replacement for your home keys quicker, however, they may request for a greater cost. This is the reason it is best that you find one before these scenarios occur. Look for the one that supplies much better service at an affordable rate. Keep their telephone number in your contact list is the most convenient method getting the service of the ideal Birmingham locksmith professional in case of emergency situation. Whether you have locked yourself from your car or you require new keys to fit your office or home lock, knowing the locksmith professional’s ability level can assist you in identifying the quality of work they can offer. Hiring a locksmith professional for Keyless Entry without inspecting their experience and background may lead to a frustrating circumstance in case the locks stop working. Getting the service of an unidentified locksmith professional may lead to catastrophe. If the job is performed effectively and you are happy with the outcome, then it is ideal to pay them properly. If the locksmith professional was unable to do the job appropriately, it will cause a larger issue and may put your business or home security at risk. If you need to hire a locksmith professional, you need to focus on a couple of things. Hire a locksmith professional will numerous years of experience. Select the one that can offer 24-hour locksmith service. 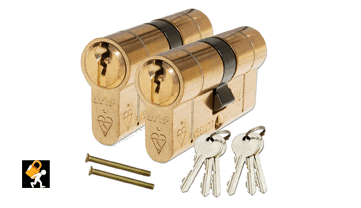 Hire lockmanbirmingham who provide the best lock and key services and you can develop a great working relationship with them.